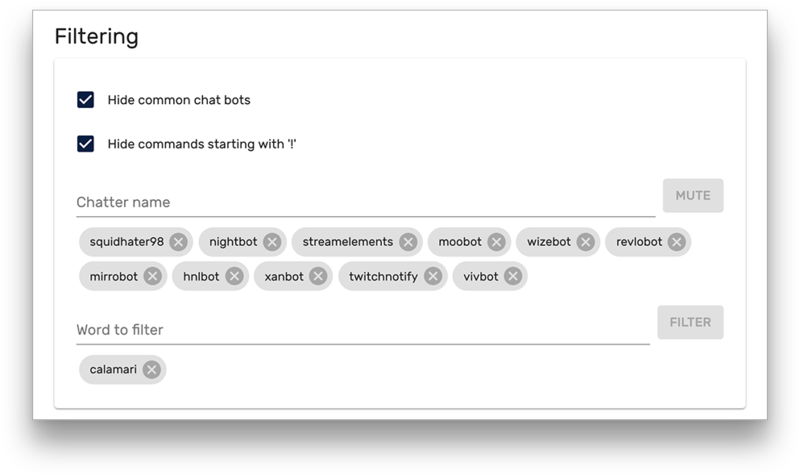 Whether you have a command bot and don't want to see the messages, or you're trying to keep your stream clean; you can use Message Filtering to prevent certain types of messages from appearing in the application. 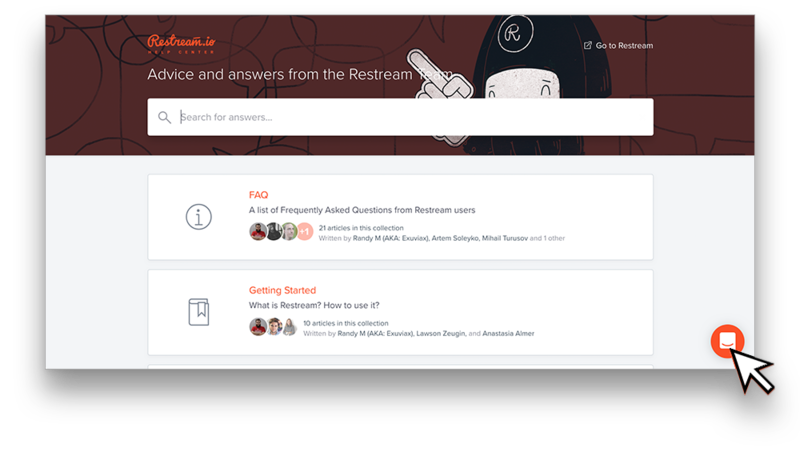 To enable Message Filtering, open the Restream Chat settings from the bottom left. Click the menu button (☰) at the top left and click "Filtering" from the list. Hide common chat bots - When enabled, this will filter out messages from commonly used chat bots. This can be useful if you have a periodic message setup and don't want to be notified every time. Hide commands starting with '!' - When enabled it will prevent messages starting with '!' from appearing in Restream chat. Commonly used with chat bots. 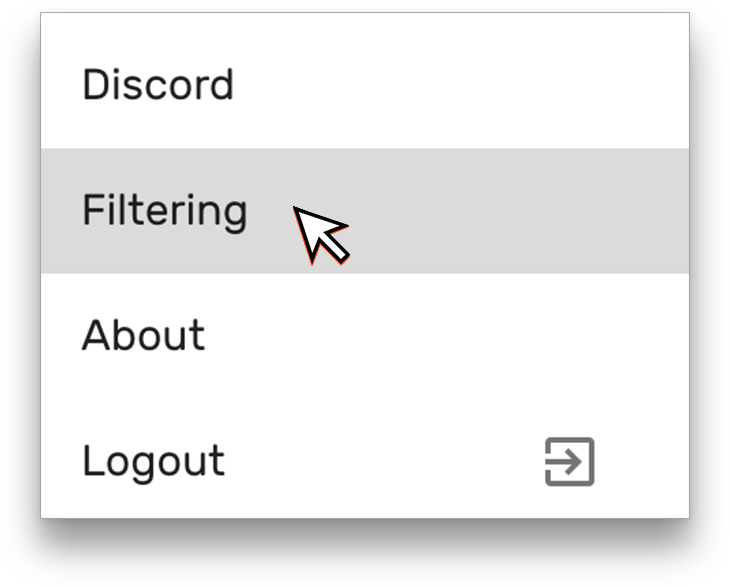 Muting - Enter a username into the "Chatter name" field and click "Mute" to prevent messages from a certain user appearing in the Restream chat. Word Filtering - Enter a word or phrase and click "Filter" to prevent matching messages from appearing. This can be useful for keeping curse words from appearing in Restream Chat.